Dr. Antony Attaphol of Dental Siam, ASAlaser’s distributor in Thailand, recently gave a speech titled “Laser Therapy: a selective treatment for TMD & Tissue Regeneration” at a seminar held at the Rama Gardens Hotel in Bangkok, Thailand. He presented MLS® Laser Therapy’s uses in the dental field at the event, which was titled “Update Concept of Digital Technology for Occlusion & TMD Management”. If your jaw hurts, keep it at rest avoiding chewing hard foods, and take a soft diet for a few weeks. Perform soft exercises in circular motion and muscle relaxation training (eg. vertical opening and closing of the jaw with muscles released). Massage kindly the muscles above and in front of the temples, and along the line of the jaw. Diagnosis requires a complete assessment of temporo-mandibular joint, examination of jaw movements, palpation of the muscles and TMJ, and an examination of intra-oral apparatus (teeth, occlusion). It includes the clinical examination of the cervical spine and posture. In special cases, the specialist can take X-rays, panoramic radiograph, CT, or MRI. 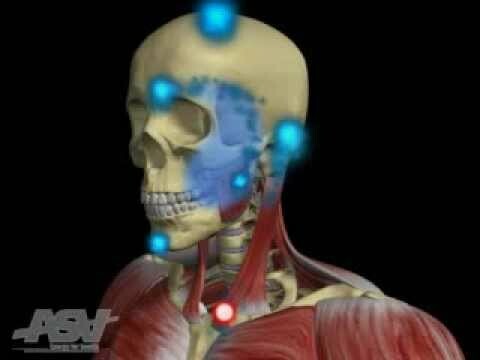 The main symptoms are painful events in face-neck-head areas. Symptoms may be localized or distributed on a wider anatomical area. Main local symptoms are represented by pain at the muscles of mastication, limitation of mouth opening, pain and sensation of joint noises. The pain may radiate to the ear, to the temples, to the neck. More extensive symptoms may also be present, such as headache, pain radiated behind, whistling or buzzing in the ear, bother to swallowing. Temporo-mandibular joint is a complex joint which owes its balance of many factors. The term "temporo-mandibular joint disorder" means generally a dysfunction of the joint with neuromuscular pain in the head and neck area.